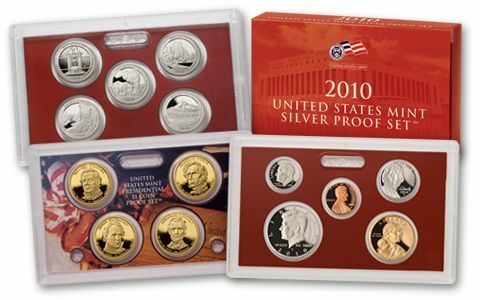 This 2010 U.S. Mint Silver Proof Set features 14 coins struck in stunning Proof condition at the San Francisco Mint. 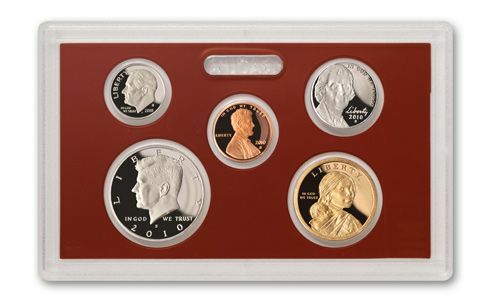 All five parks quarters, the Roosevelt Dime, and the Kennedy Half Dollar are struck in 90% silver. The coins in the set show deeply mirrored surfaces and frosted designs. They're superb! 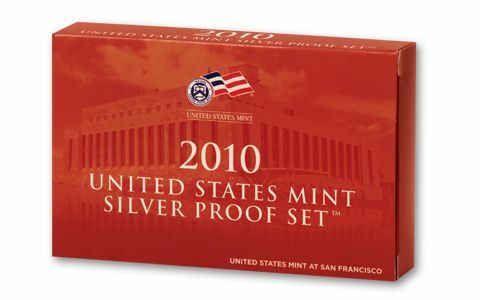 Proof sets are one of the most popular issues from the mint every year, with countless collectors lining up to add this silver set to their collection. Don't miss out! 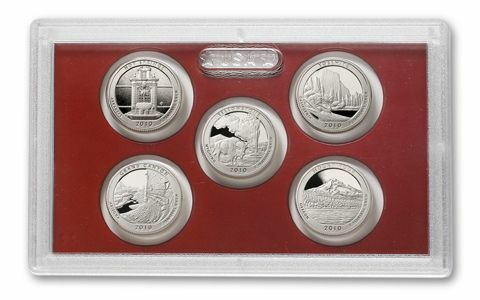 Key first edition in this new series: Hot Springs, Yellowstone, Yosemite, Grand Canyon and Mount Hood Silver Quarters. 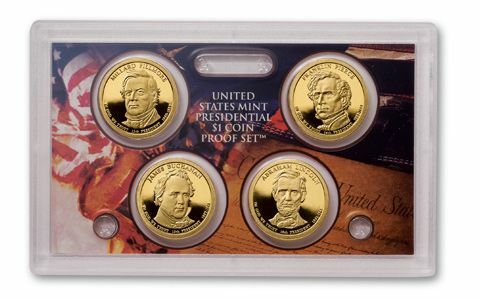 Plus, Fillmore, Pierce, Buchanan, and Lincoln Presidential Dollars; it also contains the Native American Dollar, Lincoln Cent, Jefferson Nickel, Roosevelt Dime, and Kennedy Half Dollar.